Shrikhand is a quintessential Marathi dessert and I have fond memories of my grandmother making this at home. Shrikhand is made by hanging yoghurt or curds to strain out the whey. The remaining yoghurt cream is then mixed with some sugar, ground cardamom and nutmeg, saffron and charoli (lndian dry fruit) and chilled before being served. There are many variations of shrikhand and my favourite is the one made with mangoes also known as Amrakhand. 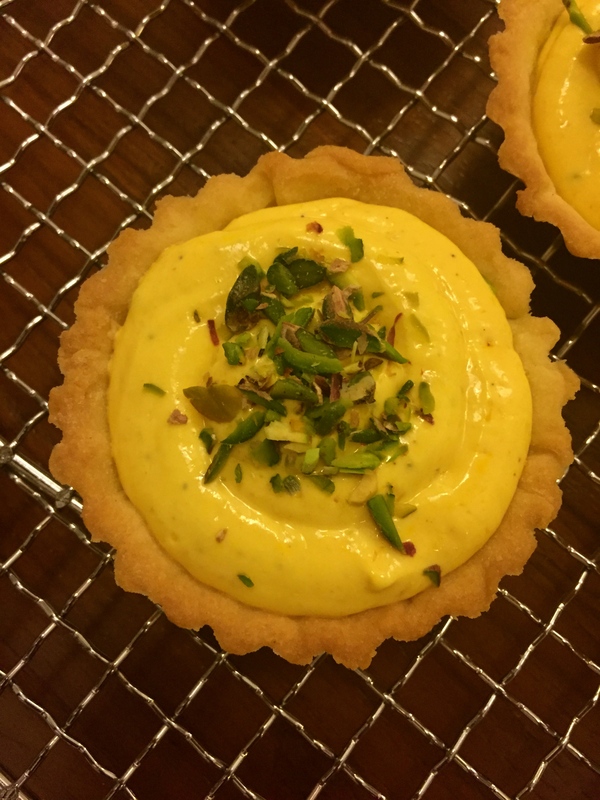 Since the mango of choice is the Alphonso or haphoos, this variation was always made during the summer months when the Alphonso was in season. Other variations are made with different fruits like oranges, figs and a combination of dry fruits like almonds, pistachios and raisins. My grandmother and mother usually made shrikhand with yoghurt set at home. Home set yoghurt tends to be less tart than the ready made yoghurt and needs less sugar when making shrikhand. 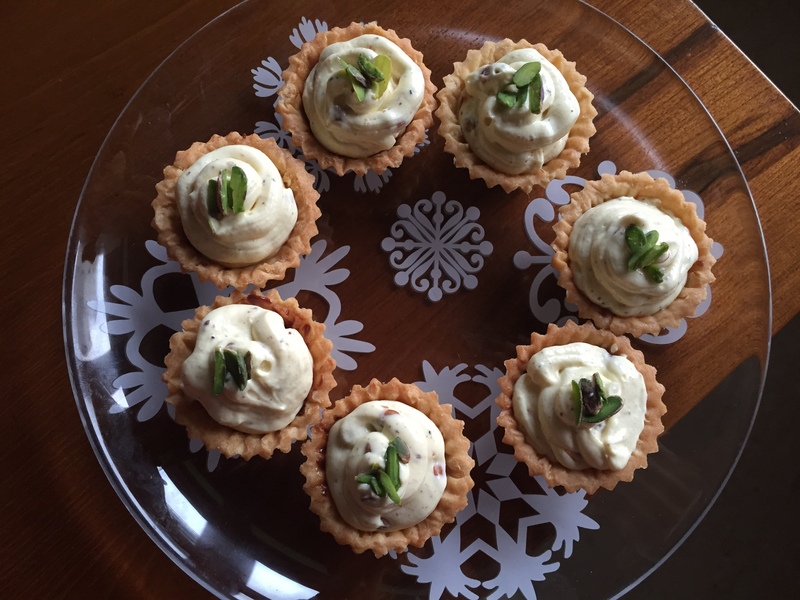 My variation on this traditional dessert is to serve chilled shrikhand in home made pastry shells and I prefer using greek yoghurt as it results in a much thicker yoghurt cream. I sometimes add a layer of dark chocolate ganache onto the base of the shell to create a flavour contrast with the yoghurt. This entry was posted in Marathi cuisine and tagged dessert, Marathi cuisine, Shrikhand. Bookmark the permalink.